Tesla Motors Inc. has very quietly started to sell used cars online, following in the footsteps of larger car companies. Its new certified vehicle program brings down the staggering costs of one of their electric cars while still ensuring manufacturer maintenance and repairs. Most of the cars that are on Tesla’s website were previously owned by people who have since traded up to the AWD Model S. Soon, this stockpile will also include leased Teslas. One hiccup in this new plan is physical storage space. Currently, nearly every Tesla sitting in a showroom is a demo model. 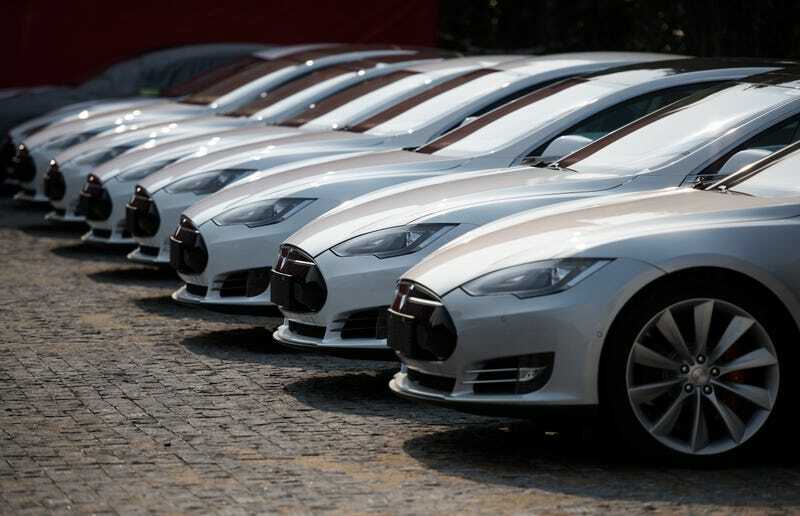 When these pre-owned cars begin to stack up, Tesla will need a place to put all of them. They’ll likely be held at a private Tesla-owned facility. Once a buyer orders a car online, they’ll be available for pickup. It means you won’t be able to kick the tires, but also that you won’t have to deal with any slimy used car salesmen.